About 16 miles East of Florence, AZ, off Florence-Kelvin highway. Nikon D810, Tokina 16-28mm lens @ 16mm, ISO 100, f/14, 1/13, .3, and .1.3 second exposures combined with Photomatix. 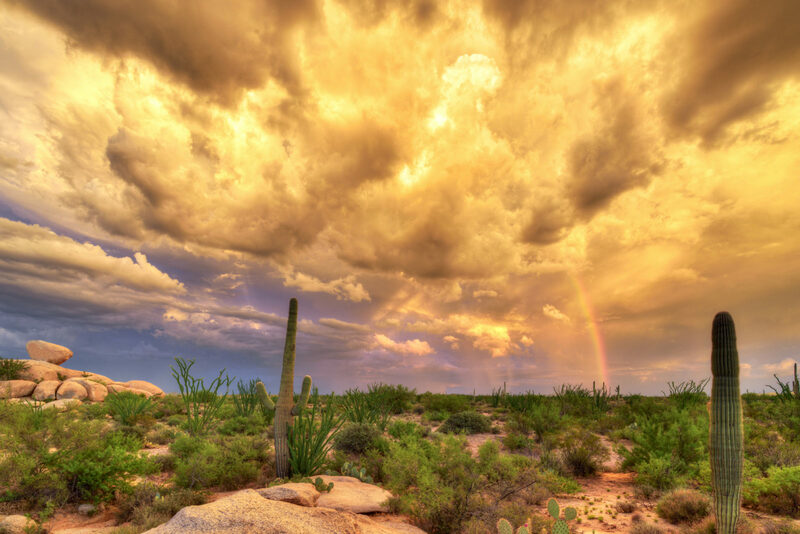 Fading storm clouds take on an orange glow near sunset, while a rainbow appears signaling an end to the storm.